LTHForum.com - Is Chaya sold in Chicago? Is Chaya sold in Chicago? LTH Home > Chat > Shopping & Cooking > Is Chaya sold in Chicago? Does anyone know if Chaya, the hard green leafy vegetable from the Yucatan can be found in Chicago? I don't remember ever seeing it in any local mexican-catering groceries, but maybe there's another way to get it? If not, does anyone have a feel for a good substitute? It seems as if spinach is not the right consistency/flavor, but kale is a bit too bitter. Chaya has an odd taste for which i can't figure a good substitute (to make Dzotobichay). Swiss chard would work well, at least texure-wise, and flavor is more nuetral than kale. I've not seen chaya and suspect that it might be difficult to find. A quick Google search for Dzotobichay landed me an a site that recommended Swiss chard, collard greens, spinach or kale in place of the chaya. As stewed coot said, Swiss chard, is more neutral than kale. Good luck! It would be great if you posted about making the Dzotobichay. It sounds like an interesting and delicious tamale. Paul! If you find it let me know! I got addicted to this Chaya Pina agua fresca in Mexico recently and am pretty bummed that I can't get it here. I'm thinking you had chia seeds in that drink and not chaya. Nope... not seeds. The owner said that chaya is a type of spinach that grows native in Mexican "jungles". Sorry-I stand corrected-never heard of this before. 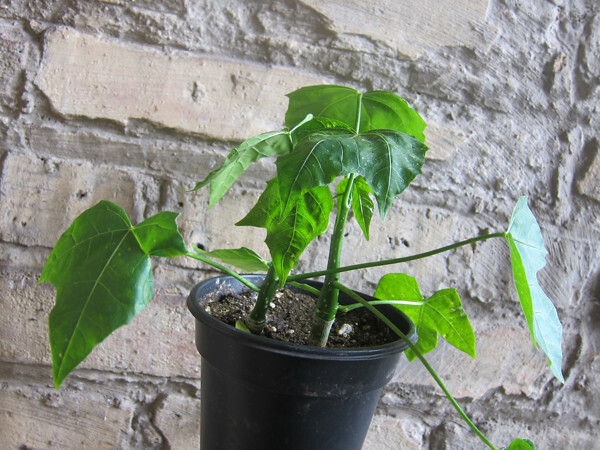 paulfinamore wrote: Does anyone know if Chaya, the hard green leafy vegetable from the Yucatan can be found in Chicago? I never saw it either at Mexican groceries (though I don't know if I'd recognize it). Have you looked at Maxwell Street Market? I've definitely seen greens there I couldn't identify. The only other thing I can suggest is to ask at Xni Pec, the only restaurant in the area offering Yucatecan food. If anyone knows where to find it, they ought to. CrazyC wrote: I got addicted to this Chaya Pina agua fresca in Mexico recently and am pretty bummed that I can't get it here. I never tasted chaya so I don't know its unique flavor. Maybe an agua fresca made with alfalfa and pineapple would be an adequate substitute? I had one last May at Lindo Michoacan on 47th (Back of the Yards) and liked it a lot. This place is directly across the street from Bellas Fuentes where I enjoyed an alfalfa-only agua fresca. The pineapple cuts the herbaceousness of the alfalfa in a most agreeable way. It's now alfalfa season so you might be able to find this drink at other well-stocked Mexican juice bars. I wonder how that cucumber-kiwi drink is. Thanks for all your help. No luck yet. I think calling xni-pec is probably my next step. I've not checked at the Maxwell mkt yet, but if i can get there, i'll try to find it (and ask vendors). Chaya is a distinctive, omnipresent green in western Yucatan. I've had it in everything from agua frescas to tamales to soups to desserts to health drinks at the beautiful Hare Krishna restauarant in Merida. Swiss Chard is probably the best substitute, but there is a weird, almost allspicy flavor in the Chaya that i like. It's not quite as sharp a flavor as most dark greens, more spicy. I just saw a rerun of the Bayless cooking show that was focused on Meridia and the Yucatan and he is growing chaya in his back yard in Wicker Park. He said he ordered the plants from a vendor in Florida. He later made the tamale you mentioned and used green Swiss Chard. Here’s what I don’t get about agua fresca with chaya (which I did try last week in Yucatan). The stuff is apparently toxic if eaten raw, so is it cooked first? That doesn’t seem quite right. Just posted about experiences with chaya. David Hammond wrote: Here’s what I don’t get about agua fresca with chaya (which I did try last week in Yucatan). The stuff is apparently toxic if eaten raw, so is it cooked first? That doesn’t seem quite right. Cool. I think the agua fresca was probably my favorite preparation for the leaf, and mixing with pineapple would balance the slight bitterness. The flavor is quite subtle. Meinke's Garden Center (5803 W Touhy) has chaya plants. There was at least one left on Saturday. José, one of Meinke's master gardeners, raises them from seed he brings back from Mexico. He also grows papalo and a papalo-related plant with spiky leaves (whose name I can't remember). I don't think any of these are labeled so you'll probably have to ask for José. And if you haven't already, be sure to read David Hammond's The Maya and the Chaya.